Melvin Gordon played along before introducing himself. An Uber driver in Baltimore did what Uber drivers tend to do when talking to passengers: Hype the local sports team while bashing their upcoming opponent. He had no idea that while he was lauding the Baltimore Ravens and ripping the Los Angeles Chargers ahead of the teams' playoff matchup, he was talking to one of the Chargers' star players. 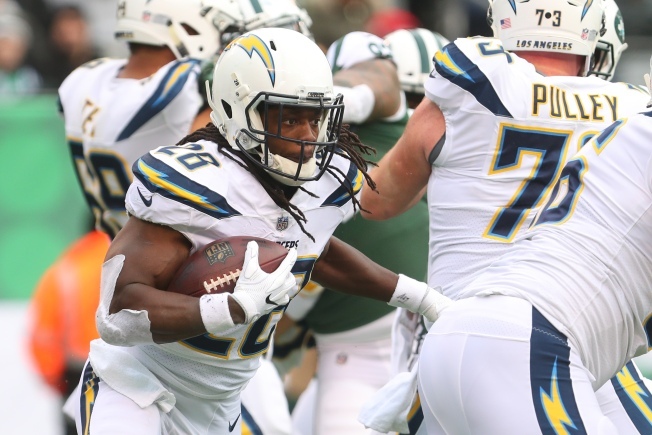 Running back Melvin Gordon shared video he secretly recorded of a good-natured debate with Uber driver in Baltimore on Saturday, a day before the Chargers face the Ravens in an AFC Wild Card playoff game. "You see the enthusiasm and motivation," the driver said, expressing confidence that the Ravens would not only beat the Charges, but reach the Super Bowl. Gordon countered by praising the skills of LA's quarterback Philip Rivers, tight end Antonio Gates and, of course, himself. "I think the Chargers got a good running game too," he said. "I like that Melvin Gordon too." The conversation remained amicable until the end of the ride, when Gordon revealed his identity to the driver. "Well I'm Melvin Gordon man. I'm the running back for the Chargers," Gordon said as he stepped out of the car. The driver, in disbelief, asked Gordon for his autograph and a selfie to which Gordon happily agreed.